New research has found employees feel the greatest sense of belonging in the workplace, only second to home. Here's how to make sure they feel they belong. Mentioning the word “home” typically elicits feelings of comfort and belonging. We tend to connect a feeling of belonging to the places where we spend our time outside of work. 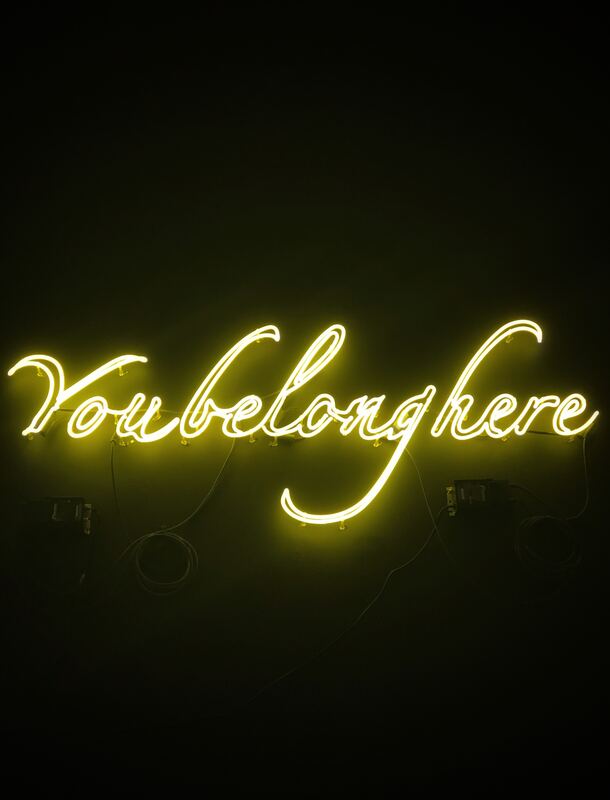 Yet 1,000 employed respondents in a new Ernst & Young (EY) report are challenging this assumption and giving “belonging” a whole new meaning. One-third of respondents reported feeling a greater sense of belonging in the workplace than their physical neighborhoods (19 percent) and places of worship (17 percent). This data comes to light during a period of record-high employee engagement. In fact, 34 percent of the U.S. workforce reported feeling involved in, enthusiastic about, and committed to their work, the highest amount Gallup has ever reported. Based on these findings, it’s clear many organizations and leaders are fostering environments where employees are empowered to succeed. Recent diversity and inclusion efforts, in addition to employee incentive programs, have helped companies increase employees’ sense of belonging. While US companies, as a whole, are making strides, there are still plenty of opportunities to improve. A genuine sense of belonging is built on mutual trust and respect. In fact, 56 percent of respondents in the EY report stated that feeling trusted and respected creates the greatest sense of belonging in the workplace. Valuing transparency and collaboration signals leaders respect employees and consider them valuable assets to the organization. No one wants to feel like a cog in the wheel. Similarly, communicating expectations is a sign of respect that reinforces trust and strengthens connections with employees. Committing to the complexity of those working relationships by allowing employees to feel comfortable growing and learning from their mistakes reassures them they are respected as experts in their own right. An overly-competitive environment: If employees lack trust, they often feel insecure and will, in turn, exhibit more competitive behavior. For example, employees cannot set aside their personal agendas for the greater good. Or people are more concerned with self-promotion, rather than celebrating team wins. Lack of accountability: If employees will not own their mistakes, it may be because they don’t recognize errors in the workplace as a chance to learn and/or fear punishment. High turnover of entry-level employees: When expectations aren’t properly communicated and calibrated, trust and loyalty suffers. As a result, new employees either aren’t given the resources they need to succeed and quit or are fired. Ineffective communication: Transparency means employees are kept up-to-date on all company goals, projects, and success metrics. If your organization doesn’t have a venue to share information cross-department and company-wide, your employees probably crave more transparency. A sense of belonging cannot thrive in a workplace where the concept of “everyone is replaceable” exists. In fact, one-third of employees who responded to the EY report agreed they feel the most belonging at work when their unique contributions are valued. Fortunately, focusing on individual contributions is increasing in popularity, and more employees are excited about their roles. They’re no longer just clocking in and out — they’re ready to make a difference. And this revolution is impacting belonging in the workplace. Dig deeper to understand employees’ natural strengths so you can align job responsibilities with their innate tendencies. Pre-employment assessments measure employees’ personality traits and cognitive abilities enabling you to place them in jobs where they will be well positioned to succeed and make a positive impact. When there is an alignment between what the job demands and the abilities an employee brings with them to the job, there’s a greater chance the employee will be engaged, perform better, and stay in the role longer. Negative online employee reviews: When employees feel they weren’t treated fairly or that their contributions weren’t recognized, they are more likely to share negative reviews on sites like Glassdoor.com. No formal process to celebrate and incent employees’ wins: If your organization doesn’t have processes and systems in place to reward and acknowledge “a job well done,” your employees are more likely to feel a void. When employees come onboard, they’re eager to make an impact and support the company’s growth and evolution. While some employees are naturally more outspoken, every employee should feel safe voicing their opinions. In fact, 39 percent of employees in the EY report said they feel they belong most at work when they can speak freely and voice their opinions. The good news is, when employees are part of an organization where their diverse skills, personalities, and viewpoints are welcomed, acknowledged, and respected, they feel comfortable voicing their opinions about necessary changes. No one is speaking up: If the same few people always contribute during brainstorming sessions, chances are the other employees don’t feel safe voicing their opinions. Employees don’t ask questions: Questions are how we learn more about how something works. If employees aren’t asking questions, it’s because they don’t think they need to see the bigger picture. Lack of employee surveys: Employee feedback is one of the most reliable measures of employee sentiment and an easy way for employees to share ideas. Asking people to provide feedback, supports a feeling of collaboration and fosters employee driven change. Openly trust and apply your team’s feedback. Use it as a catalyst for personal development and to inspire organizational change. Offer frequent updates on changes to show how you’re incorporating their feedback, concerns, and goals into the company’s future. Kelly Land is the co-founder and CEO of Berke, an assessment technology that helps companies know who to hire. Connect with Kelly and the Berke team on LinkedIn, Facebook, and Twitter.